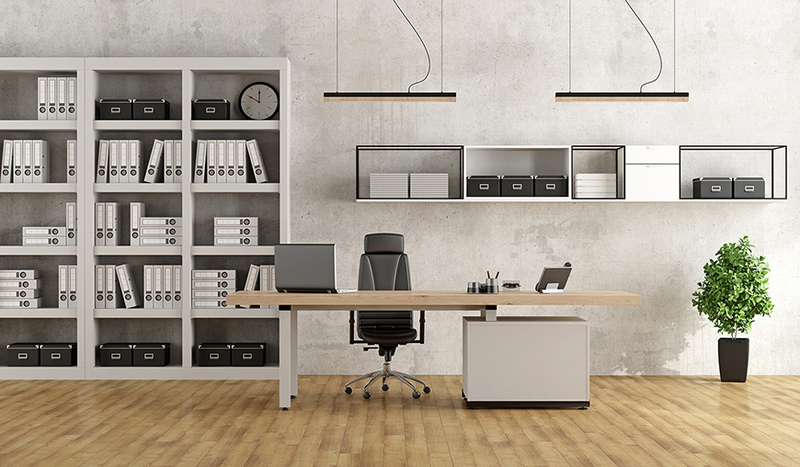 Furniture manufacturers usually have a comprehensive product range on offer: for setting up the living space or office, for laboratories, hotels, industrial kitchens or industry. Customers can usually select from amongst standard products and modular systems which are compiled according to their requirements. With Lantek’s software, the manufacturers have all the processes involved in metal processing at a glance and in hand at all times. “The main constant aspects are permanently changing requirements”, says Adria Iles getting to the heart of the challenges facing the sector. At Lantek, the international leader for cross-system software solutions in the metal sector, she is the sales director for USA. Businesses must not only respond, on the one hand, to a constantly fluctuating demand for customized furniture and, on the other, to parameterized designs, which enable the supply of standard products in different sizes and layouts - and all of that in quantities ranging from 1 to mass production. Moreover, many items are combinations made of metal with other materials, e.g. for seat upholstery or tabletops. With Lantek’s modular software, manufacturers have the freedom to first of all effectively control individual areas and then to expand their entire IT architecture little by little - right up to the overall Lantek Factory concept. The technology of the Lantek Expert CAD/CAM nesting software is ideal for furniture manufacturers. Geometries can be read and reprocessed or created directly. Following this, the program nests the shapes and generates the CNC code. 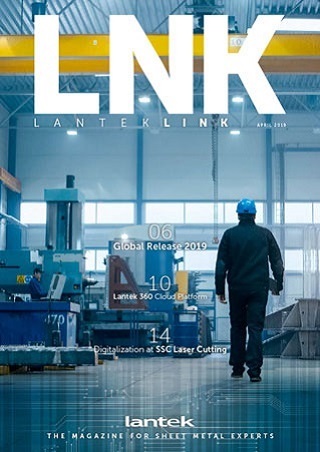 Lantek Expert Cut is the module for the automated control of sheet metal cutting machines with oxy-fuel, plasma, laser and water jet technology, whilst Lantek Expert Punch is the expert for the automated programming of CNC punching machines. With CAD add-ins from Lantek Flex3d, the parametrical processing takes place of, for example, a 3D cupboard design for the processing of three-dimensional parts with Lantek Expert. Comprehensive nesting options guarantee manufacturers high productivity and quality. Time and costs are saved by the cross-project, as opposed to, order-specific working method. For a specific sheet metal thickness, the software combines cutting jobs from various orders and ensures that each metal sheet placed is also optimally used to the full - and the parts in the one order are also brought together again at the end. To reduce the stock of remnants, standard parts can also be integrated into the cutting procedure and produced in advance. An important plus point for customers is the option to control their heterogeneous machine park with Lantek software from one interface. This allows interfaces to more than 1000 machine types. You avoid a proliferation of software products, as well as the individual training of employees for each system. At the same time, the company has the best possible leverage when investing in new machines. With Lantek Integra furniture manufacturers are also given tools for the control and supervision of the entire manufacturing process at their fingertips. “With the permanent monitoring of all processes, production managers must ensure that the quality is just right, delivery dates are adhered to and the costs do not get out of hand. This is just what our software solutions offer at the click of a mouse and in real time”, comments Adria Iles regarding the other advantages for the sector. The software can be personalized to the needs of each and every customer thereby making it an ultra-flexible solution that includes CRM, purchasing, inventory management, control of current projects and quality controls plus linkage to accounting programs. For the manufacture of standard products, warehouse stocks of components can be analyzed to ensure that exactly the right amount of each part is available for a purchase order. Even with regard to items such as handles, hinges, seat surfaces or tabletops and worktops, which can be obtained from suppliers, the system allows controlling stocks as well as purchasing so that all parts are available on time and the products can be completed according to schedule. A comprehensive database allows finding each component with the product history, even after years - whether this be as the result of a new request from a customer or due to seamless traceability for comprehensive quality assurance. The project status for any order, and the available capacity of the machines, can be followed in real time, not only via the PCs in administration and using a touch panel at the machine, but also on mobile end devices such as smartphones. “A production manager away on business therefore has access in real time to the most important data from production”, Adria Iles explains. Lantek will present its innovative software for companies in the sheet metal processing industry at the Euroblech 2016 in Hannover, the 24th International Technology Fair for sheet metal processing. From 25 to 29 October 2016, customers will be able to view the most recent developments and innovative presentation formats at Stand B104, Hall 12.